This design concept is at the same time architecture and an illustration of it. 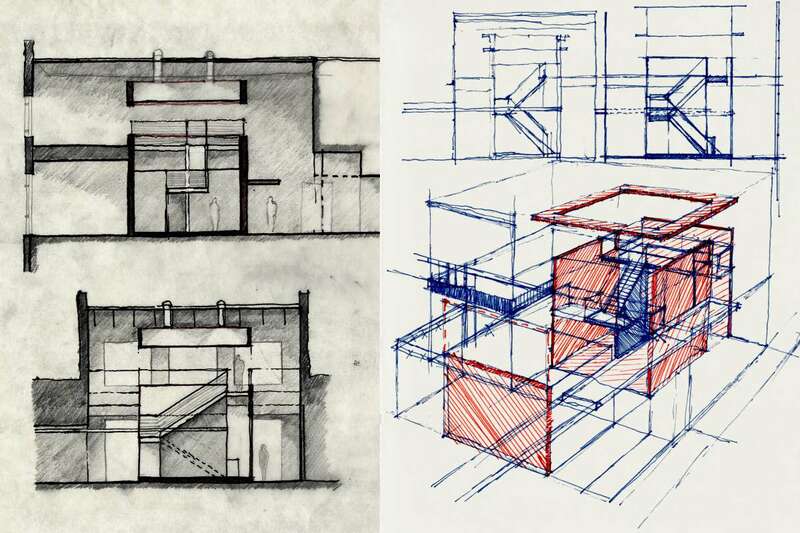 The entry form is the classic cube which represents an architectual idea. It is exploded into planes that create overlapping and interlocking spaces that expand into the remainder of the office, representing the transforming nature of architectural ideas through the practice. Light is another primal force in architecture. The cube is lit by natural daylight through huge tubular skylights and follows the forms. The monumental stair is another architectural iconic element. 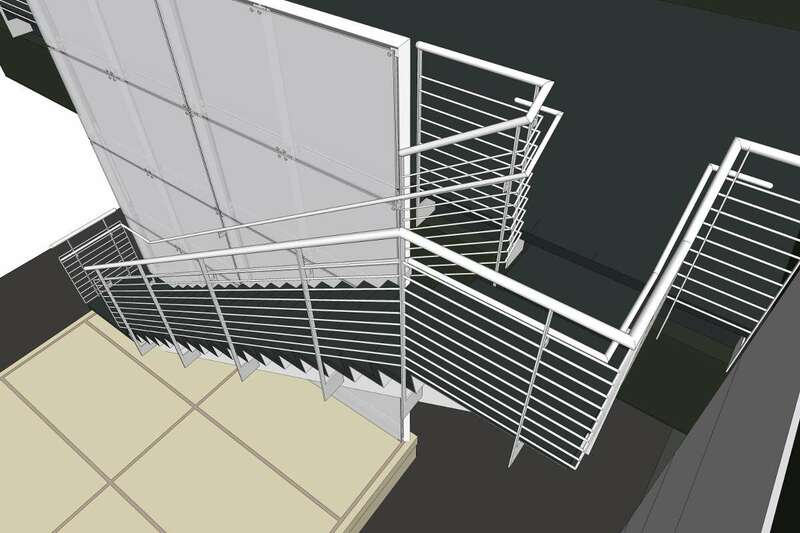 This stair is a modern interpretation, a ribbon of concrete and steel, modeled in 3D to ensure the correct geometries and structure prior to construction. As a laboratory for architects in training, the forms pull apart to reveal their assembly and building systems behind for convenient reference. Certified USGBC LEED Gold, small green narrative tiles illustrate many of the sustainable methods used throughout the space. The design won multiple design awards. I was the primary designer as well as architect of record while at Perkins and Will. Photography is by Mark Herboth and his images of the project, referenced here, can be found around the web.